Our Soenen machine is so large that before it was installed, we had to X-Ray our foundations to ensure that it didn’t sink into one of the World War 2 evacuation tunnels underneath our site. And now the machine, which is 5-metres high, 2.5 metres-wide – and has foundations running 5 metres deep – has been refurbished as part of a major investment programme. 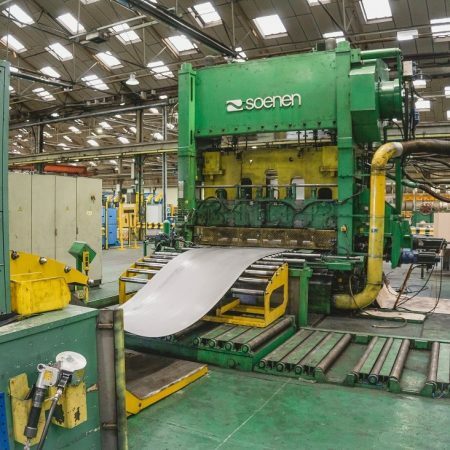 Commissioned in 2007 at the cost of £1 million, the Soenen expanded metal mesh press is a high precision tool used to manufacture a wide range of products, from grain drying mesh to walkway meshes. Bespoke to our own design, it is a highly flexible machine and utilises both coil and plate feeds. It is particularly effective at producing high quality aluminium architectural products. We are investing up to £1 million in our Hartlepool site this year and the programme encompasses the purchase of new machinery, refurbishing existing assets and enhancing our facilities. New energy efficient LED lighting has been installed across our 25,000 sqm site, which will help to reduce our carbon footprint and our 75 machine – which was commissioned in 1969 and is believed to be one of the widest expanded metal mesh presses in Europe – has also undergone an extensive refurbishment. Philip Astley, managing director at The Expanded Metal Company, said: “The Soenen machine was a major investment for us at the time of installation and has proved to be a key component in our manufacturing capabilities. 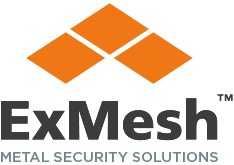 “Its refurbishment will ensure that the machine will remain efficient and effective at producing many types of specialist expanded metal mesh.